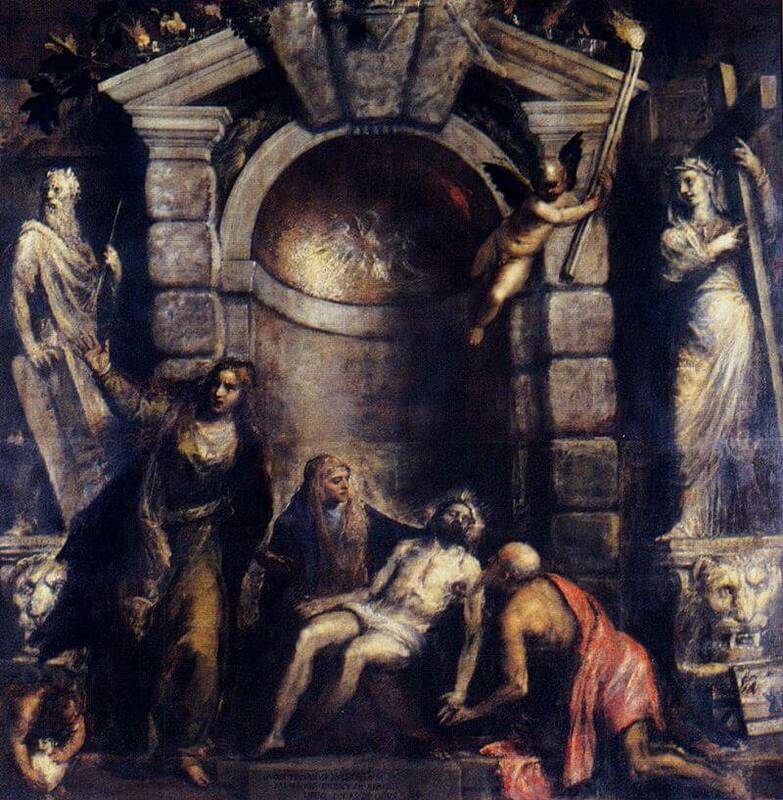 In 1516 Titian made contact with Alfonso I d'Este, Duke of Ferrara for whom he was to work for a decade on pictures destined for the Alabaster Chamber. 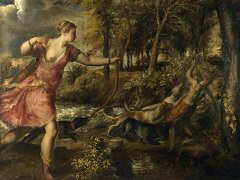 In this period he painted a series of magnificent paintings of Dionysian themes: the Worship of Venus in the Prado, The Andrians (Bacchanalia), also in the Prado, and Bacchus and Ariadne, in the National Gallery, London. 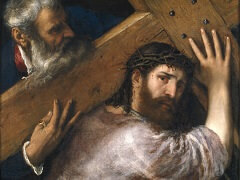 In these paintings Titian combines a richness of colouristic expression with a great formal elegance. 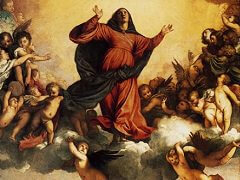 These are the elements which characterize this whole so-called "classic" phase of Titian's development and which is dominated by the supreme masterpiece of the Frari Assumption of the Virgin. The first painting in this series is The Worship of Venus, whose subject is Love as the source of fertility and regeneration in nature. 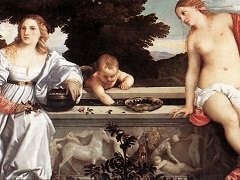 Titian's composition is based on a description by the late antique writer Philostratus, in his 'Imagines', of a painting of cupids gathering apples in the presence of Venus amid a tree-girt landscape. 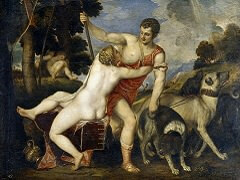 By basing himself on Philostratus, Titian was in effect recreating a lost masterpiece of antiquity. 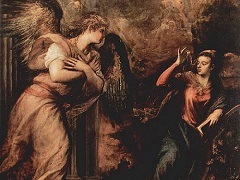 This would have flattered the patron, who could thus compare himself to Alexander the Great, the patron of Apelles, the most celebrated painter of the ancient world.